This became a cult classic if the brand, and Instagram videos were going viral. Showcasing it's bright vibrant colour and long lasting capability, it was everything you wanted from a liquid lipstick. Seeing people drink coffee, kiss and even eat and this sucker stayed on. So I was hooked and it really was the main product I wanted. I mean a beautiful bold red colour that doesn't transfer, sign me up. Travel sets and mini set are my all time favourite, why?? Because they are cheaper and they are usually small and mighty. Same can be said for this duo, a nearly full sized universal gloss bomb and mini highlight. A perfect introduction to the brand, with a killer highlight and glossy lips. The gloss isn't so lip gloss like, it's not sticky or tacky and doesn't go everywhere. 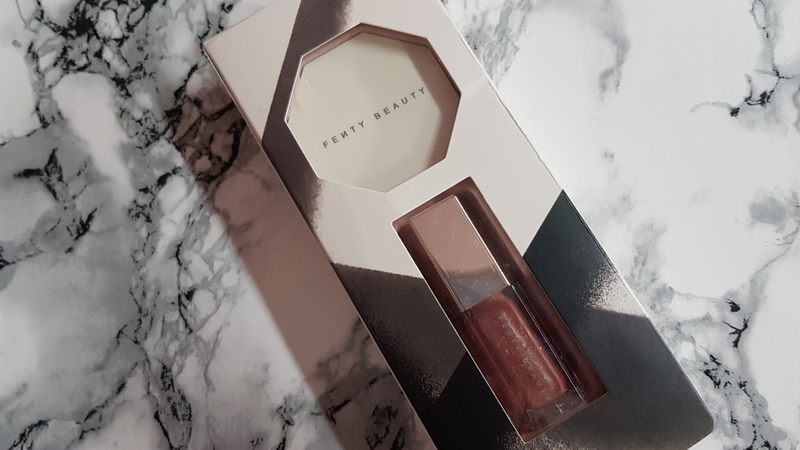 It settles perfectly on the lips with a very subtle shimmer, and really absorbs into the lips. Leaving them looking, juicy, hydrated and beautiful. The applicator is a standard doe foot and the packaging looks very chic and high quality. Moving on to my favourite bit, highlight. This highlight is in the shade Hustler Baby, a beautiful rose gold shade that really packs a punch. That glow for all seasons and a little really does go a long way. Being mini means it is great for travel and the best part about this mini....it comes with a mirror! Literally the best thing to happen to travel size and it is so compact it's great for on the go. No fall out and blends like butter into the skin. I cannot wait to try more of the Killa Watt highlighters as they are so good and gives you a highlight for the gods. 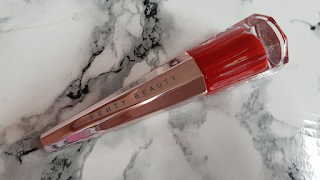 I’ve still not tried anything from Fenty beauty and I just don’t know why! 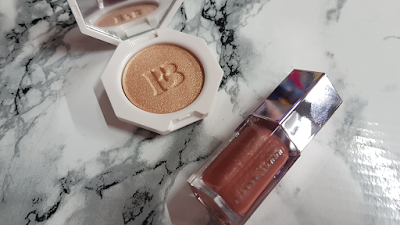 The highlighter sounds absolutely fabulous! I havent dared try Fenty yet but the Killa Watt highlights sound awesome! The lip paint deffo reminds me of the louboutin lipsticks too! 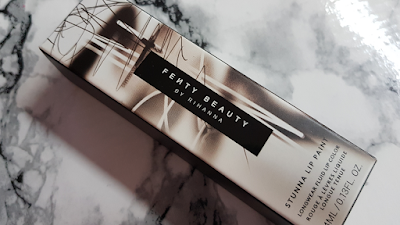 I still have a list of fenty beauty products I need to try!